In honor of Veterans Day, we would like to honor an extraordinary Spartan who has demonstrated courage both in and out of the military. His inventive program, Heroes to Hives, proves that unexpected combinations—like entomology and veterans—can be the most rewarding. When Ingrao left the military, he used beekeeping as a way to help transition to his new daily life. In his eyes, beekeeping is another form of service, as the pollination bees provide is crucial to the agricultural success of the country. He knew that other veterans could benefit from beekeeping, and thus Heroes to Hives was created. Ingrao describes the program as “a nine-month beekeeping education program for military veterans and their spouses… they go through everything from basic biology to management all the way to overwintering practices.” Moving forward, he would love to further develop the online portion of the program; ultimately, he hopes to expand the full, in-person program at other universities across the United States. The program is just one of the offerings for veterans through MSU Extension. Ingrao is committed to being a ‘one stop shop,’ consistently providing the individualized support that they need. 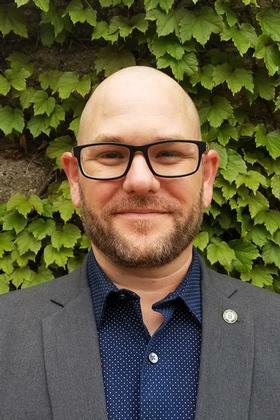 He believes the best way to support veterans is to “recognize their sacrifice and translate that recognition into concrete support.” Students, staff, and alumni can all help to support veterans in unique, but equally important, ways. Ingrao encourages Spartans to befriend local veterans, participate in relevant philanthropic and community services opportunities, and assist them with professional development. The MSU Alumni Association would like to extend our sincerest thank you to Adam, along with our other Spartan veterans, and all of the other brave men and women who have served our country. We encourage you to consider how you can help to support veterans and their families throughout the year. Click here to read more about Adam Ingrao from MSU Extension.